I always love to improvise where I can, I think becoming a mum really helped my improvisation skills along. So when I decided that I needed more card slots for my Filofax Finsbury, I knew I wanted to make this 'adventure' as painless on my wallet as possible. So I improvised. 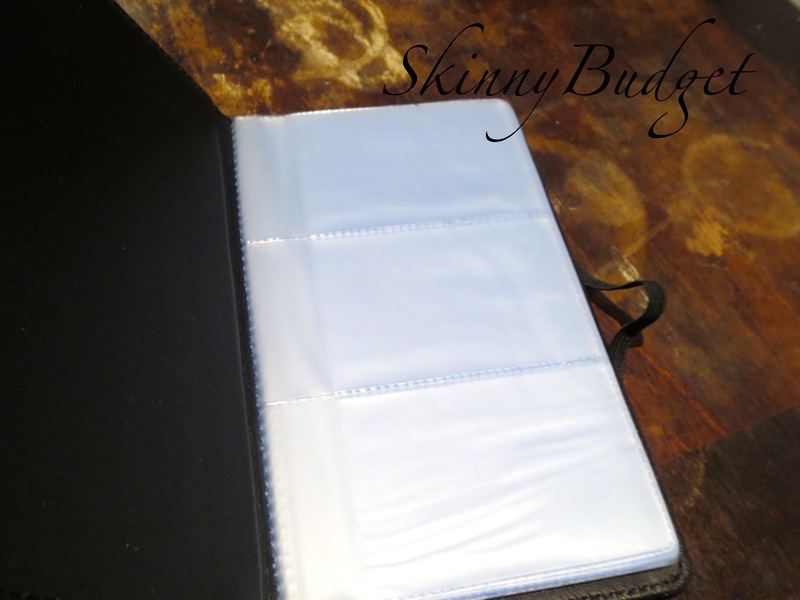 I suggest taking your Filofax along with you to the shop OR simply knowing the measurements of your organiser prior to purchasing (if you don't already have one at home) a business card holder, to avoid purchasing a card holder that proves to be too big or too small for your organiser. I picked up a $3 Card Holder from my local Kmart that matched my Personal sized Finsbury beautifully, and then went about making my own 'hack' Filofax Card Holders. Apart from the $3 purchase of the card holder, I already had a hole punch (I have a 2 hole punch), a bright marker, and a stitch unpick at home. If you don't have a stitch unpick (I'm a bit of a DIY sewer) then small scissors and a toothpick/ bobby pin will work just as fine. I unpicked the stitching that held the plastic card holders to its casing, once you unpick the first few stitches the rest should come along like a domino effect. I do suggest taking your time, it won't take too long if you are patient with the process. Next I took out my clear top-opening plastic envelope that came with the Filofax and used this as a guide for the holes. As I have a 2 hole punch, I simply went about each hole individually and took care as the plastic is obviously a different texture to printer paper and can require a little extra momentum with the hole punch. I will be focusing this weeks blog posts on Filofax (you don't have to have one) Organisation/ DIY's, in the hope of helping other people who may be looking for new ideas on organising their own Filofax and especially those who are on a budget but still want to personalise their Filofax where they can. I will be doing a Filofax Domino giveaway once my blog reaches 50 members! If you found this post helpful, please feel free to tweet, pin, or Facebook it! Oh, this is a great idea! I think I may end up trying this at some point! Thanks for sharing this great project/ idea! Oh awesome idea, i would definitely tell my sister to check this out hehe, these are some great card holder Designs, Thanks for sharing. I am so eeeeeeeexcited going to make mine today.